Normally I prefer some foreground in my nightscapes, but since my original concept was foiled I decided to go for this progression. A few high clouds made their way into a couple of the frames, but the overall impact is satisfactory. 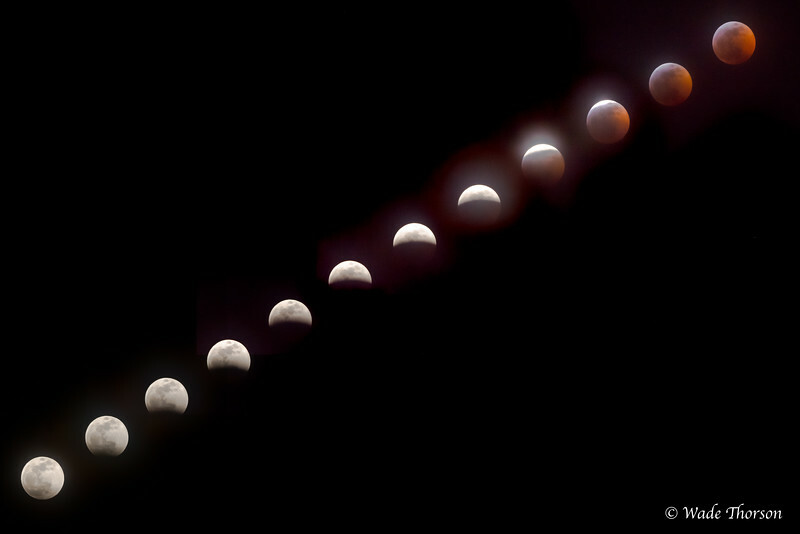 Very nice sequence, maybe tone down the blooming around some of the partial eclipse moons.